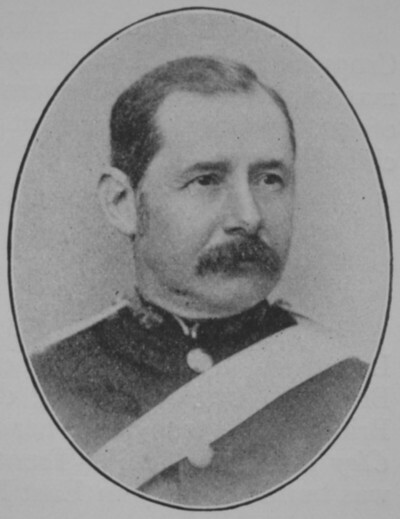 William Lambe Huskinson was born on 4th February 1839 at Caythorpe, Nottinghamshire. He was christened a few days later on the 8th February at the local church. Within a short time of his birth, the family had moved to the hamlet of Bulcote, near Burton Joyce, Nottinghamshire. William went to school on Beaumont Street, Newark (where he could be found living at the time of the 1851 census). By the time of the 1861 census, in his early twenties he had set himself up as a land agent and was living as a lodger at Theatre St, St Leonard, Kent. Shortly after William married Emily Jessie Creft on 21 May 1861 at Campsell, Yorkshire. Emily was born in Buckland, Plymouth in 1843. 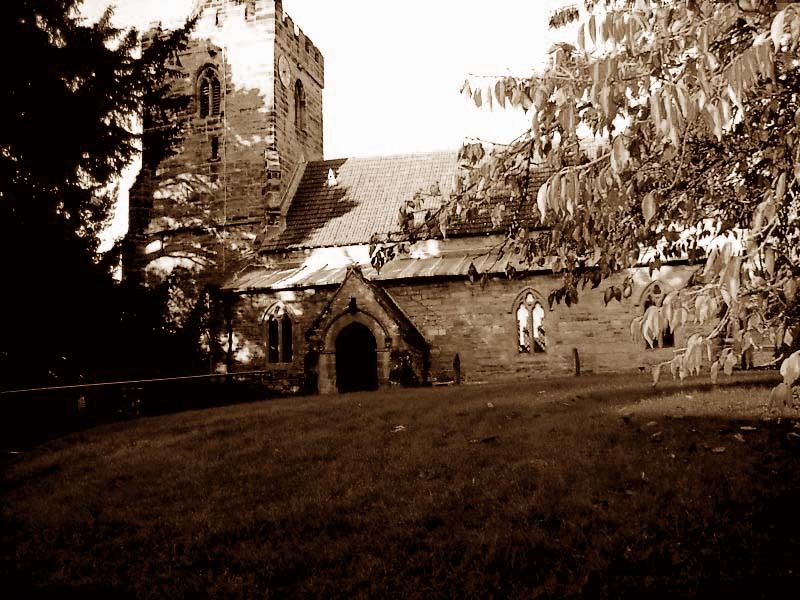 William and his new wife Emily returned to Nottinghamshire, and set up home in Epperstone. Here they quickly established a family, Thomas William was born in 1862, followed by John Henry (1863), Charles John (1865), Arthur Frederick (1867), and Harold (1870). At the time of 1871 census the family were supported by four servants. William and Emily continued to expand their family, with Percy Lambe and William Leonard in 1873, Ernest Amphlett (1876), Edward (1877) and Richard King in 1879. In 1887 William is noted as an executor of the will of Mr Henry SHERBROOKE. In 1896 William Lambe is listed at the country seat of Epperstone Manor, however a few years later he moved to a smaller cottage. 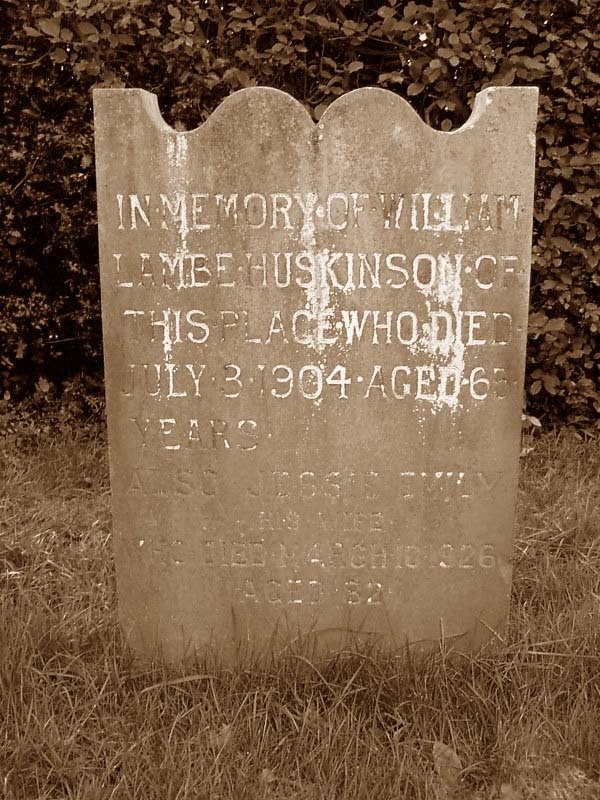 William Lambe Huskinson of Epperstone, Nottm, Land Agent died 2 July 1904. Probate Nottm 3 Aug to Thomas William Huskinson, Land Agent and Charles John Huskinson solicitor effects of £7882 1s. Resworn £7716 5s. His wife Emily died in 1926. Frederick Spencer Huskinson was born on the 4th March 1840 at Caythorpe, Nottinghamshire. He was christened a few weeks later at the local church on the 27th March 1840. At the time of the 1851 census, Frederick was a visitor with Emma Bousfield (his mother's sister), at New Uttoxeter Road, Derby. By 1861 he was back living with his parents in Epperstone. I have no trace of Frederick after 1861. If you have any information, please contact me. 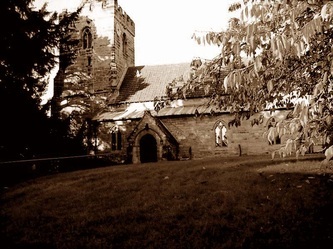 Thomas Huskinson was born on the 16h August 1841, he was christened a few weeks later in Bulcote, Nottinghamshire on the 18th September 1841. I have no definite trace of Thomas after the 1841 census. If you have any information, please contact me. 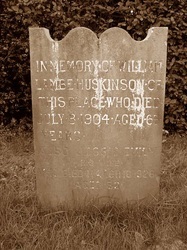 John Henry Huskinson was born 13 october 1845, he was christened on the 1st Jan 1846 at Epperstone. He died just over a year later on the 3 April 1847. Mary Lambe Huskinson was born 24th April 1859. At the time of the 1861 and 1871 census returns she lived with her parents at Epperstone. She died in 1878.